From ABC news. This is a hurricane Florence. Good evening I’m Tom Galveston hurricane Florence Alex culpable storm what’s still a growing menace tonight. Dropping relentless rain over 350 miles all across the Carolinas including right here in Myrtle Beach, South Carolina with the rain is only getting stronger. Now this storm barely even moving any North Carolina the all time record for rainfall from a tropical cyclone. Now broken. 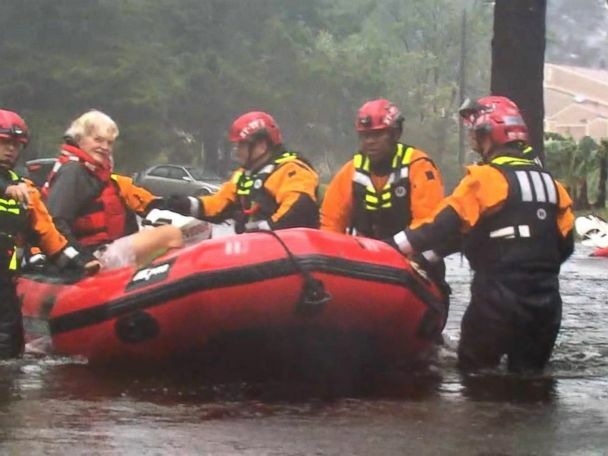 New Bern, North Carolina hit hard from the hurricanes’ first punch and now the second punch the threat of catastrophic flooding is spreading and moving inland. 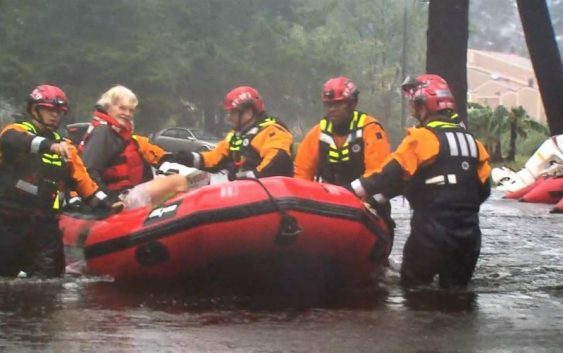 Rivers rising officials warning the worst is yet to come the death told mounting. At least thirteen people have died hundreds of families rescued today the Coast Guard would jayhawk helicopters pitching game. ABC’s Amy robot is on the ground in Wilmington, North Carolina with GAAP part of the story. On bands of rain showers have been inundating the Wilmington area all day as Florence now pushes inland we’ve already had up to thirty inches in counting up the few feet of floodwater blinking neighborhoods like this one swallowing cars. 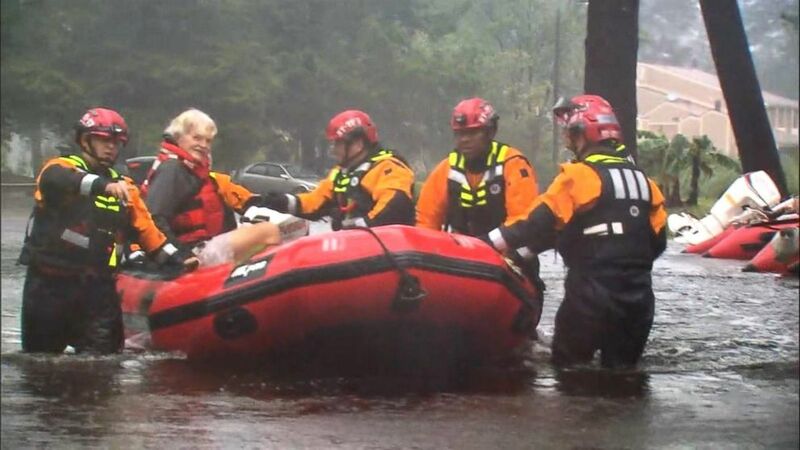 Dozens of water rescues reported statewide as an army of first responders rushed to reach hundreds still trapped as night falls here and Wilmington. How list downed trees rising floodwaters through this historic downtown district and more storms on the way it’s stuff here it’s about to get a lot tougher time. Amy thank you with that let’s get right to Sam Champion with the track floor tonight a Sam. And Tom we really just don’t have any good news here the center of circulation still barely crawling but the rain is still falling lots of it. We have those flash flood watches out for most the day into the night in southern Virginia. North Carolina South Carolina as well flash flood warnings it’s then some 200 miles off the coastline inlet and we’ve got the tornado watches becoming go. Rainfall there’s a lot more still in the system and we know the places mountain towns as the storm kicks up like Asheville, North Carolina could get six to ten inches of rain Tom. Sam thank you and we will have complete coverage of tropical storm Florence tomorrow on Good Morning America I’m Tommy Thomas and Myrtle Beach, South Carolina thank you for watching.